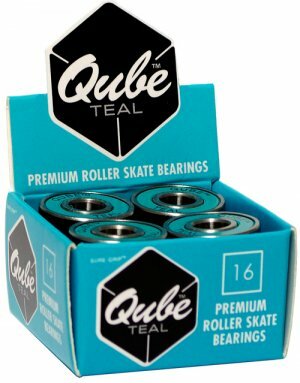 ﻿ Qube Teal Bearings - $25.00 : Bruised Boutique, For Derby. By Derby. The QUBE Teal bearing is a special bearing, a solid ABEC-5 rated bearing. This is an ABEC-5 rated bearing that will do just about anything you can throw at it, a perfect outdoor bearing.